You can't be blamed for thinking, when Marvel says they're stopping a whole bunch of their top-selling titles in the fourth month of the year, that someone's having an early April Fools laugh. But that is exactly whats going down at the House of Ideas, with IGN revealing New Avengers, Dark Avengers, Mighty Avengers and Avengers: The Initiative, will end at the conclusion of SEIGE. While you don't have to be Wolverine to sniff out that May will probably be loaded with 'all new, all different' Avengers books, as a fan of the 'classic' Avengers, but not such a fan of certain roads travelled since, this set ending and beginning is a brilliant way for Marvel to set up it's long teased 'Heroic Age'. Hank Pym vs. Ultron, the final fates of Norman Osborn, Mockingbird and more, these titles are not going out with a bang, as much as a mighty 'Ka-Boom!' 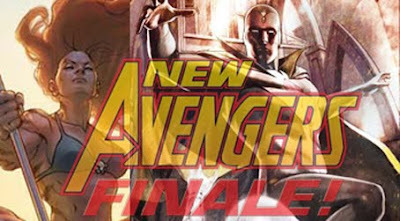 When the dust settles look to the one shot New Avengers: The Finale, to bridge the gap between the two eras of the franchise, with plenty of pay-back included! For full details visit IGN.